'Til death do they art. 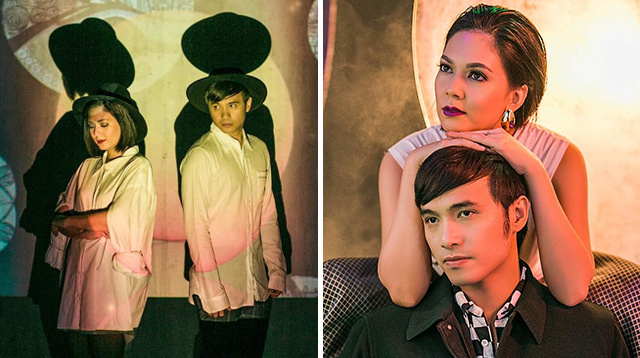 Private couple Kean Cipriano and Chynna Ortaleza can't help but show off their stunning prenup photos for their upcoming church wedding. And while the couple remain to keep quiet about the occasion, we have these edgy images that they recently shared on social media to be kilig about. Just like how they described their blossoming relationship to be bound by their love for art, their prenup photos revolve around this theme—pairing them with a playful hashtag: #TilDeathWeDoArt. Just like Chynna's caption, we say YES! In December 2015, the two shocked everyone with a surprise civil ceremony which Kean announced on Instagram on New Year's Day. Two years later and a baby girl named Stellar in tow, Kean and Chynna are finally having their church wedding. "[Kean and I] are already husband and wife for two years. We're simply doing this as a promise to God," Chynna told PEP.ph.